This Wednesday, Feb. 21, 2018, file photo shows the Samsung Galaxy S9 Plus, left, and Galaxy S9 during a product preview in New York. Samsung says it is investigating reports that some of its smartphones messaged users' photos without their knowledge. Several people posted online that photos stored on their smartphone were sent at random to numbers saved in their contacts, Gizmodo reported Monday. 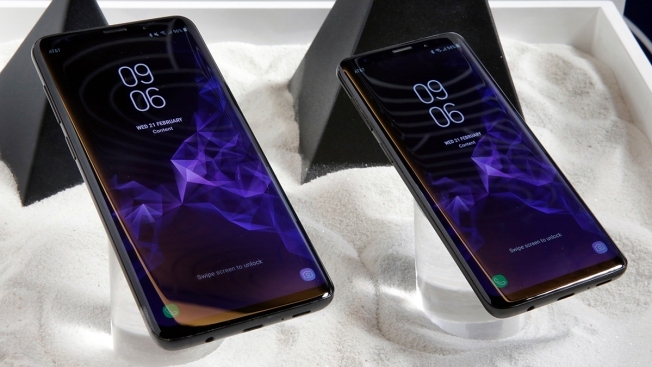 One Reddit user said their Galaxy S9, a newer Samsung model, somehow sent the phone's entire photo gallery to their girlfriend in the middle of the night. But there was no record of it in the messaging app itself — the Redditor said they confirmed the mishap through logs from T-Mobile. It’s unclear what caused the issue or how many people it may have affected. "Samsung has reviewed this matter thoroughly these past few days; however, there were no hardware or software issues found to be relevant to this particular case," a spokesperson told CNBC in an email. "While there have been no known similar customer reports globally, we will continue to investigate this issue further.